Marelize Gerber has established herself as an outstanding interpreter of early music and works by Mozart and his contemporaries. Ms. Gerber is a recurring guest of some of the most prestigious international music festivals and works regularly with acclaimed orchestras and conductors. She performed in renowned concert halls such as the Musikverein, Konzerthaus and Burgtheater in Vienna, the Tokyo City Opera Hall, the Slovenian Philharmonic Hall, the Clementinum in Prague, the Palace of the Arts in Budapest, the Salzburg Residenz and festivals including the Grafenegg Music Festival, Carinthian Summer Festival, the Trigonale Festival for Early Music, Festival Barocco di Viterbo in Italy, Festiwal Oper Barokowych Dramma per musica in Warsaw, the International JS Bach Days in Germany, the Musica Sacra Festival St. Pölten, the donauFestwochen, the BACH XII GRAZ, as well as in the Vienna Chamber Opera and at the International Händel Academy in Karlsruhe. Concert tours have taken her to the USA, Japan, China, Hong Kong, Syria, Mexico and Turkey. 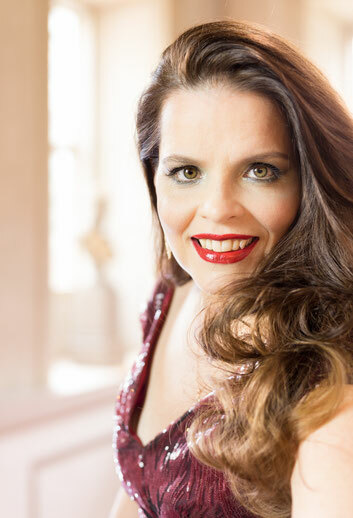 Recent performances include a program with works by JA Hasse in the Musikverein, Vienna as well as her debut in the Tonhalle in Zürich with the Capriccio Baroque Orchestra under the baton of Lena-Lisa Wüstendorfer in GF Handel's Belshazzar. In Budapest she appeared with the Baroque Orchestra of the Budapest Festival Orchestra in a program with works by Austrian court composers. Ms. Gerber’s keen interest in Early Music served as inspiration to co-found the baroque ensemble Capella Imperialis. The ensemble had their debut performance at the prestigious Resonanzen Early Music Festival at the Konzerthaus, Vienna. Ms. Gerber appeared in Bach's Christmas Oratorio in Mannheim, Málaga, Vienna, Graz and Linz. As part of the festivities for the 500th Reformation Anniversary of the musica sacra in Linz she performed St. Matthew Passion by JS Bach. She performed in Handel's Messiah in the Rudolf-Oetker Hall with the Bielefelder Philharmoniker as well as in Vienna in the MuTh Concert Hall. In Switzerland she appeared in Mozart's C-Minor Mass under the baton of Michel Corboz and the Ensemble Instrumental et Vocal de Lausanne as well as under Clau Scherrer and the Graubündener Kammerphilharmonie. She appeared in Mozart's Requiem in Munich, Vienna and at the Mozart Festival in Bratislava. In Poland she made her debut in Warsaw in Rameau's Les Indes Galantes and sang Purcell's Fairy Queen in Poznan. Other collaborations with renowned european orchestras and ensembles include the L’Orfeo-, La Tempesta-, JJ Fux- and Karlsruhe Baroque Orchestras, the Bach Collegium Zürich, Clemencic Consort, Haydn Philharmonie, Capella Leopoldina, Orchestra 1756, Aura Musicale Budapest, Il Giardino d’Amore, Academia Salieri, Musica Figuralis, Prague Bach Orchestra, Ensemble Saitsiing &- Tientos, Concertino Amarilli, Capella Lutherana, Musiche Varie Renaissance Ensemble, Grazer Instrumentalisten, Musica Aeterna and Concerto Lutherano. Highlights of her career on the opera stage include the roles of Zéphyre (Zéphyre - Rameau), Hébe/Fatime (Les Indes Galantes - Rameau), Nerone (Agrippina - Händel), Clori (Clori, Tirsi e Fileno - Händel), Dafne (Dafne - Caldara), Amor (Apollon&Daphne - Cavalli), Barsine (Nebucadnezar - Keiser), Dryante (Der geliebte Adonis - Keiser), Deianira (La Lotta d'Hercole con Acheloo - Steffani), La Ninfa (L’Orfeo - Monteverdi), Cephisa (Orpheus - Telemann), Sivene (Le Cinesi - Gluck), Mme Silberklang (Der Schauspieldirektor - Mozart), Amital (La Betulia Liberata - Mozart), Papagena (Die Zauberflöte - Mozart) and the female leading role in Purcell’s Fairy Queen. Ms. Gerber is continuously expanding her concert repertoire to include a variety of works by Monteverdi, Fux, Pergolesi, Vivaldi, JS Bach, Händel, Mozart and Haydn. 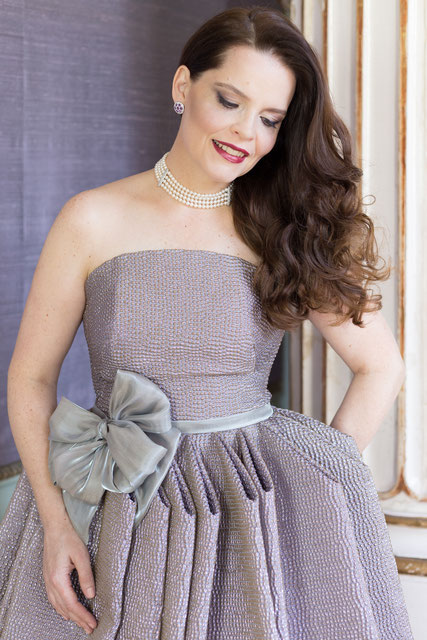 The Austrian soprano, residing in Vienna was born in South Africa. She received violin lessons from the age of four and was a member of the State Opera’s childrens chorus in Pretoria. She studied singing with KS Mimi Coertse and KS Ruthilde Boesch. In addition, she completed a Masters Degree in Music. Her endeavor to perfect her art of singing inspired her to receive additional training in the form of masterclasses from Mieke van der Sluis (Baroque Singing), Jesper Christensen (Schola Cantorum Basiliensis - Baroque Chamber Music), Peter van Heyghen (Baroque Opera) and Sigrid T'Hooft (Baroque Gestures and Dance). The discography of the artist includes recordings for SONY MUSIC / deutsche harmonia mundi (Orpheus - Telemann), Oehms Classics (Praetorius), GRAMOLA and RAUMKLANG (Baroque Soprano Cantatas). Lately a recording of Mozart’s La Betulia Liberata with the L’Orfeo Baroque Orchestra, conducted by Michi Gaigg was released by CHALLENGE RECORDS.